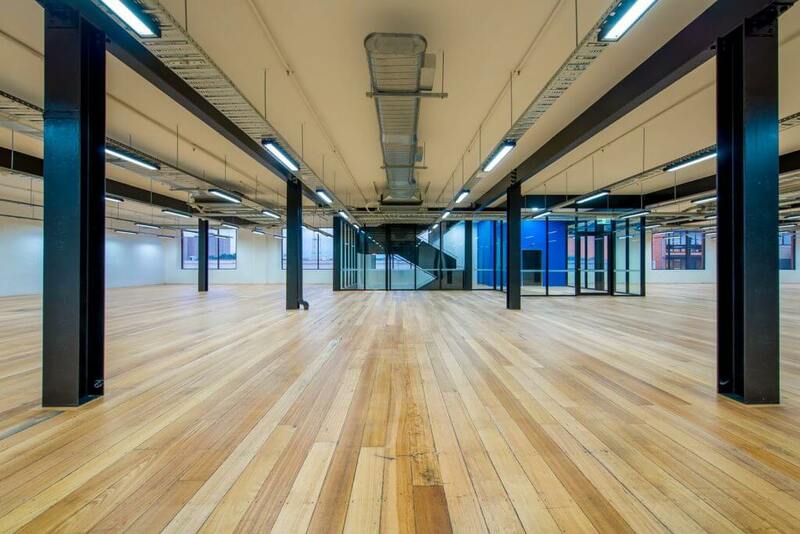 Repurposing warehouses and old buildings into commercial offices is becoming extremely common and why not? It an effective solution to the impact of urban sprawl. As businesses look to secure their spot in already densely populated metro or urban areas, adaptable and restoring projects are becoming increasingly popular. Yet, the old-meets-new poses unique and great challenges in modern office design. 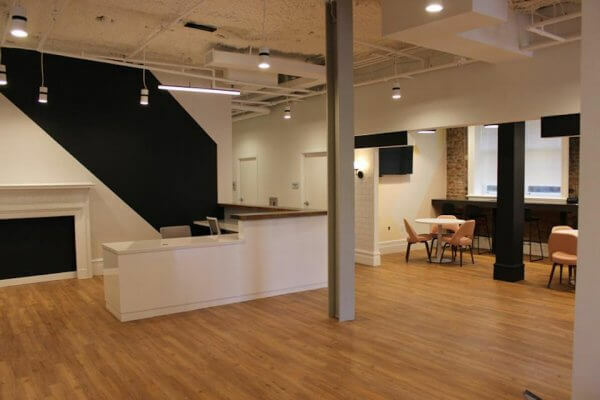 Preserving the historic integrity of the building is an obvious way to inject instant character into an office design. It is also a great way to honour past designs and welcome them into the new and modern world of commercial design. Original features add historical charm to office design, whether they’re a small detail or the focal point of a space. From the subtlety of crown moulding to the strong presence of bare mechanical fittings, no element is too big or small to influence the look and feel of the interior. The link to the past can be enhanced through the use of complementary materials to create a cohesive modern office design. Imperfect yet also perfect elements such as framework and curved details of its era along with exposed brick and timber beams telling the story of the space and tracing its rejuvenation when paired with a contemporary palette of materials like steel, plywood, cork and concrete. Design inspiration isn’t limited to the physical aspects of a structure. Considering the original purpose of the building can harness the energy of past occupants to inform the new workspace – from a subtle nod to the past through to the major theme of the office design. Many adaptive reuse projects are chosen specifically for their abundance of available space. Generous floor space and high ceilings can be utilised to create unique focal points that anchor the overall office design. Large-scale statement pieces can easily be accommodated and used to connect spaces, like expansive staircases or even double-height atrium walls that bring the outside in. 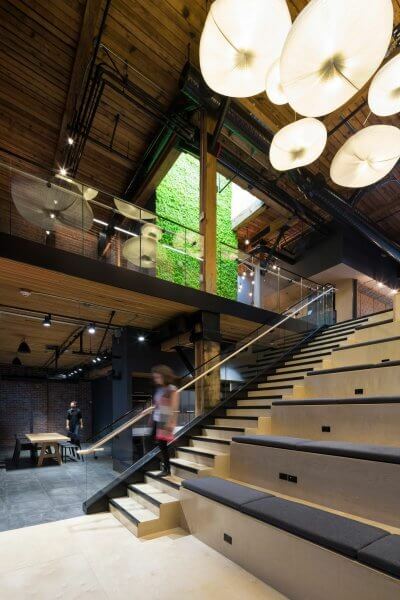 Photo: Slack’s Vancouver office uses double height to create spacious, air-filled staircase. Warehouses lend themselves to contemporary open-plan offices while providing an opportunity to include cleverly designed smaller work areas. From pods to meeting boxes, these private spaces often add texture and character to the overall space through the clever use of materials and forms. Lighting then becomes the key focus to ensure these spaces are well light and create a feeling of warmth. When repurposing old buildings, it’s important to respect what’s there. If it doesn’t work, don’t try to force it – think creatively to bring out the best of the space. One should consider items that are no longer required but can potentially be repurposed or recycled to continue its way through history and modern design. Once complete a new story of the buildings architecture can be told.